Headquartered in Seattle, Washington, Athena Marketing International (AMI) is a highly specialized export marketing, business development, & consulting firm serving the global food, beverage & consumer products industry. AMI works closely with CEOs, business owners, and senior executives of its client companies to expand their export sales and global distribution, reduce expenses of developing international sales, increase company profitability though higher export sales, and develop a long-term sustainable global business platform. SEATTLE (February 9, 2012) — Athena Marketing International (AMI), Seattle-based consulting firm specializing in global market entry and international business development, was instrumental in establishing a multi-million dollar distribution agreement between a U.S. beverage manufacturer and Hiang Kie Coffee Group Limited, a leading coffee and specialty beverage distributor in China. AMI worked closely with Hiang Kie to secure a distribution agreement launching U.S. beverage products in cafes and other foodservice establishments throughout China and Hong Kong. AMI travelled to China twice last year, exhibited at large international trade shows in Hong Kong and Shanghai, negotiated the agreement with Hiang Kie, and trained their Hong Kong and China sales staff as they prepared to launch the beverage line. China will drive growth for many U.S. food and beverage suppliers over the next several years, and has already become the U.S. agricultural industry’s largest export market. Last year, China moved past Canada becoming America’s No. 1 trading partner for food products. Since 2005, U.S. food and agricultural export sales to China have more than tripled reaching a value of $17.5 billion. Hiang Kie Coffee Group Limited is proficient in formulating total beverage solutions to customers with different beverage needs. Hiang Kie is a coffee roasters, tea blender, and distributes renowned brands of coffee machines, tea brewers, blenders and other beverage equipment in Hong Kong, Macau and Mainland China. Numerous international corporations, five-star hotels, prestigious western restaurants, private resorts/clubs, airline catering, fast food chains and cafÃ©s in Mainland China, Hong Kong and Macau have become Hiang Kie valued and loyal customers. For more information, go to http://www.hiangkie.com.hk. Headquartered in Seattle, Washington, Athena Marketing International (AMI) is a highly specialized export marketing, business development, & consulting firm serving the global food, beverage & consumer products industry. AMI works closely with CEOs, business owners, and senior executives of its client companies to expand their export sales and global distribution, reduce expenses of developing international sales, increase company profitability though higher export sales, and develop a long-term sustainable global business platform. For more information about AMI, please visit athenaintl.com. Bamboo Bottle Company, maker of the original reusable bamboo bottle, has added Athena Marketing International (AMI) to develop the company&apos;s international business. Athena Marketing International (AMI) is a highly specialized marketing, business development, & consulting firm serving the global food, beverage & consumer products industry. Based in Portsmouth, New Hampshire, Bamboo Bottle Company is the creator of the original reusable bamboo bottle. The Bamboo Bottle Company was founded around the idea of creating the cleanest, best-looking and coolest bottle for its consumers to drink from while using the most renewable resources possible. Peter Guyer has been selected to give a keynote speech entitled: “Exporting U.S. Products and Entering New Foreign Markets,” at the NASBITE International Conference, April 3-5, 2011 in Charleston, S.C.
NASBITE International (National Association of Small Business International Trade Educators) is a professional organization for the global business community. Members include global business educators and trainers at academic institutions; trade specialists at federal, state and local trade assistance organizations, and practitioners that engage in or facilitate global business activity. SEATTLE (September 8, 2010) – Athena Marketing International (AMI), a leading export marketing, business development and consulting firm serving the food, beverage, and agricultural industries, has hired George Synan to build its client’s distribution and brands in Japan and throughout Asia. George Synan stated: “I am thrilled about working for AMI and representing them in the Japan region. AMI has a very exciting client portfolio of brands. I am looking forward to growing their presence in the high-potential Japanese market”. Headquartered in Seattle, Washington, Athena Marketing International (AMI) provides international marketing, business development and strategic consulting services to U.S. food & beverage manufacturers. AMI sells its client’s products to a network of international importers, distributors, retailers and other buyers. 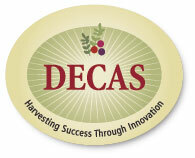 Its objective is to assist high quality, emerging U.S. food and beverage producers develop into major global brands. AMI’s services allow U.S. food & beverage manufacturers to reduce costs, improve profitability and achieve a higher success rate selling their products in global markets. AMI develops its clients’ brands globally by conducting strategic business planning, increasing sales, meeting the needs of international buyers, and conforming to local import regulations. For more information about AMI, please visit www.athenaintl.com.